Cobra Labs presents The Curse which they are saying is the “Ultimate Pre Workout”. 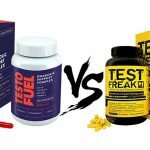 This is certainly a bold claim, but let’s find out if it really does have the best formula when it comes to pre workout supplements. The manufacturer claims that The Curse will give you…. The curse has some effective pre workout ingredients, Creatine, L-Citrulline and Caffeine which should give you some muscle pumps, some power and some energy. The big problem is that this formula is made up of proprietary blends. Which means you don’t really know how much of each ingredient you are getting. In fact it is quite hard to determine how effective the dosages actually are. This effective amino acid has both upsides and downsides. On the upside it is great for performance. It has been shown in several studies to increase both strength and endurance. It does this by helping to buffer the acid in your muscles. You should notice a surge in explosive power in the first few minutes of an exercise. Unfortunately on the downside many users have reported side effects when using Beta Alanine. This can cause unwanted distractions while you are training. We will get to these side effects later. This is a great ingredient for both energy and strength. Your muscles use a chemical known as Adenosine Triphosphate (ATP) for energy. Creatine helps supply your body with more of this ATP. 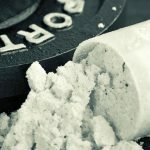 Studies have shown that supplementing with creatine will help you lift more weight and train for longer. It also helps with the retention of water in your muscle allowing you to have more explosive power. This is great for those heavy 1 rep max lifts. We can’t tell you if they are using an effective dose because it’s a proprietary blend and not stated on the label. This is a weak organic acid that can be found in many types of citrus fruits. Although this is not the best choice of ingredient it does has some benefits. It can help maintain energy levels and promote a positive mood. It also has the ability to improve absorption of minerals in your body. Overall we feel this could have been left out. It is not the most effective nutrient for performance it’s more of a supportive ingredient. One of the best amino acids available for muscle pumps. Once your body has absorbed this nutrient your liver converts it into L-arginine. This vasodilator then works by promoting nitric oxide in your body dilating your blood vessels and improving overall blood flow. With this being a proprietary blend it is unclear how much L-Citrulline is this pre-workout. We can say however that it is under 1000mg which isn’t really enough. Studies have shown that you need around 6000mg to 8000mg for it to work properly. So with the smaller dosage you are not going to get the full effects. Although it works as a vasodilator to improve blood flow in the body L- Arginine AKG doesn’t work that well when consumed in a supplement orally. Once you have taken this nutrient your body finds it nearly impossible to absorb this amino acid properly. In fact you are unlikely to see any real benefit at all. L-Citrulline is great because it completely bypasses any such absorption problems. 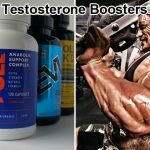 One of the best natural stimulants you can get. The Curse offer a good amount of caffeine here too. We don’t need to tell you how good caffeine is for energy. You have most likely felt its effects from a cup of coffee, tea or from energy drinks. It isn’t just effective for energy though, it will also boost your power output and strength in the gym. Studies have also linked it to increases in metabolism which could also help with fat loss. We can confirm that 155mg is a very effective dose, it is also low enough that you can go ahead and double scoop it without any issues (depending on your tolerance). The leaves of the olive tree have been used for medicinal purposes for thousands of years. It has been added here to help support the caffeine content because it has been linked to increasing blood flow circulation. 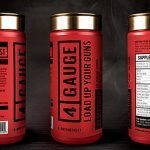 The idea here is that if you have a low tolerance to caffeine it will help to control your circulation while taking this product. We doubt the low dosage of this ingredient will do much for you overall, so we feel it should have been left out. Take 1 to 3 scoops mixed with 4-8 oz. (150ml-250ml) of water 30-45 minutes before exercise. 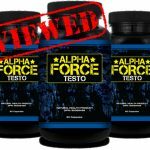 You should never exceed 3 scoops within a 24 hour period. Can I double scoop The Curse? Yes but do so with caution. 1 scoop of The Curse contains 155mg of caffeine, so two scoops of The Curse will put you at 310mg. We recommend you don’t go over 300mg of caffeine. Going over this 300mg limit is when most people start to experience side effects. Although its only 10mg over we suggest if you have a low caffeine tolerance you don’t do it. 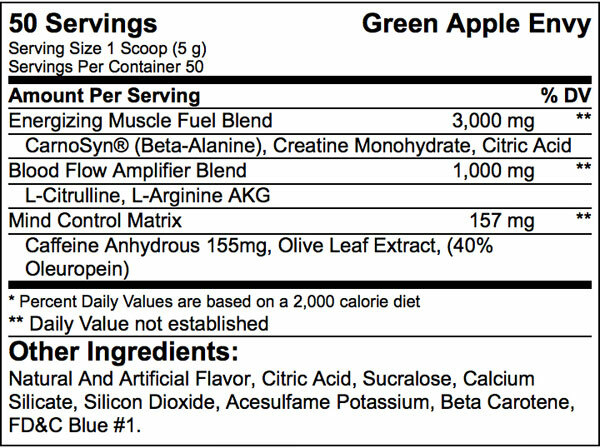 Another thing to watch out for would be the Beta Alanine, but unfortunately they have not listed the dose on the label. 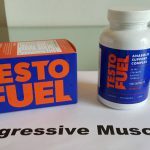 Although we have found no reports of any major side effects with The Curse it does contains Beta Alanine so you may experience some side effects. Beta Alanine has been reported by many users to cause paresthesia. This is an irritating itching/burning sensation that you feel in your hands, on your face, scalp or ears. While it is not harmful it is very distracting and has the potential to ruin your gym session. Another potential problem we could see would be with the caffeine content. So if you are sensitive to caffeine then certainly avoid double scooping it. 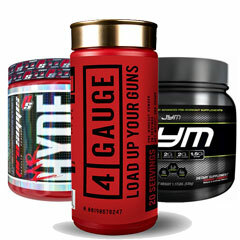 Contains some of the top proven ingredients we look for in a good pre workout. L-Citrulline, Creatine Monohydrate and Caffeine. 155mg is an effective dose and it’s not too strong. Allows you to double scoop without issues. Plenty of variety. Currently they have Green Apple Envy, Blue Raspberry Ice, Orange Mango, Tropical Storm, Lemon Rush & Watermelon Deluxe. No animal products are used in this pre workout formula. Essentially you don’t know how much of each ingredient you are getting. It’s really hard to gauge how effective each component is, the only clear dosage is the caffeine. We can also confirm it doesn’t give you a clinical dosage of L-Citrulline, the ingredient responsible for muscle pumps. Citric Acid, L-Arginine and olive leaf extract are ingredients that we believe should have been left out. They are not the most effective ingredients to promote performance so you will see little to no benefit. There is a possibility that because it contains Beta Alanine it will lead to paresthesia. An itchy tingling feeling in your face and hands that can ruin your workout. What are people saying about The Curse? There are no user testimonial on the official Cobra Labs website so we are left to look at customer reviews on retail websites. Ratings on Amazon.com and Bodybuilding.com are generally favorable. The general consensus is that that the powder mixes well and the flavors taste good. 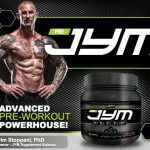 However many stated that it was not the best energy boost from a pre workout they have tried. Most said they would have liked to have seen more of a kick to it. Longer term users also felt they built up a tolerance to it fairly quickly, some even after just a week of use. While this is a very basic stripped down pre workout it does work reliably for light energy. The caffeine is nicely balanced at 155mg making it accessible for those who have a low tolerance to caffeine. It’s ideal for people who have never tried a pre workout before and want to save some money. 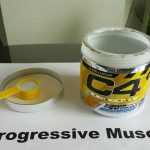 However anybody who has tried lots of pre workouts will be disappointed with some of the under dosed ingredients and lack of additional nutrients. With all that being said because the caffeine content is on the lower side you can double scoop if you want more. This is certainly not the “The Ultimate Pre Workout” that Cobra Labs are claiming. It’s a fairly decent when it comes to energy and focus but not great. Don’t expect huge muscle pumps because the L-Citrulline is underdosed. The fact it uses proprietary blends is a real let down. You really have no idea how effective the ingredients are without this knowledge. If you are looking for light energy supplement and you can put up with the side effects then this could be for you. But this really isn’t your best option for a pre workout.